The Stanley Cup was met by protesters outside the American Indian Center in Chicago's Ravenswood neighborhood on Oct. 20, 2015. CHICAGO (WLS) -- Some protesters met the Stanley Cup at the American Indian Center in Chicago's Ravenswood neighborhood. The event featured Native American food, raffles and a chance to see the Cup. 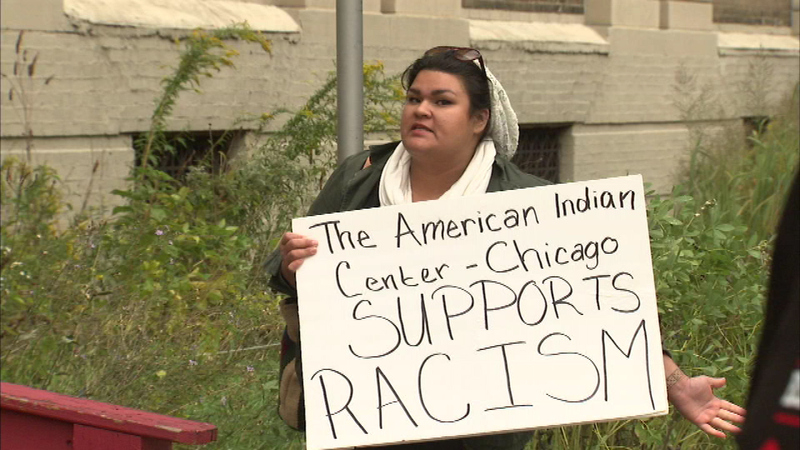 Protesters say they're upset the Blackhawks use a Native American in their name and logo.